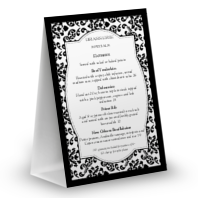 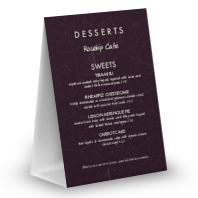 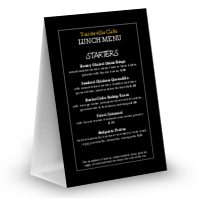 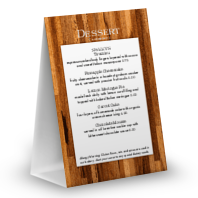 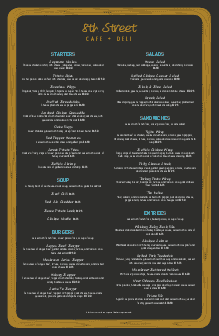 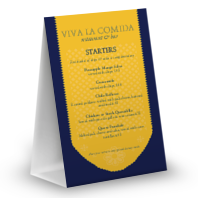 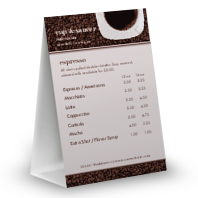 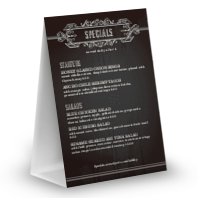 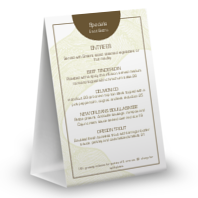 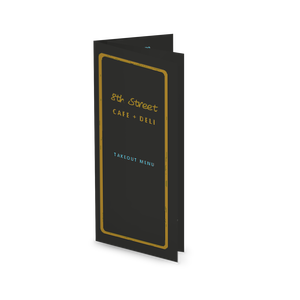 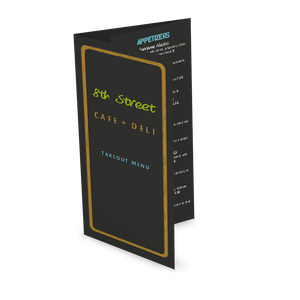 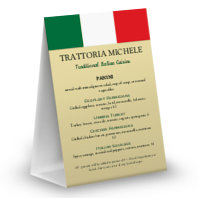 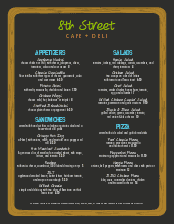 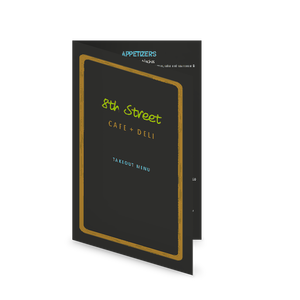 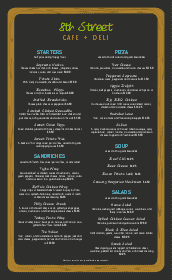 A table tent menu for the NYC Deli Menu collection. 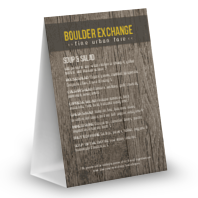 This design has a black chalkboard background, a narrow wood frame, and handwritten-style fonts for a friendly appeal. 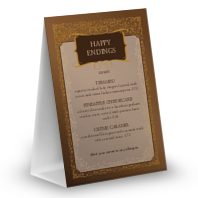 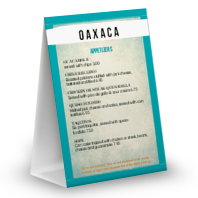 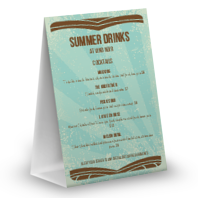 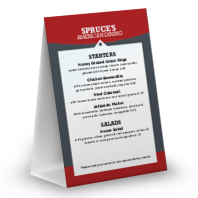 Customize with drinks, desserts, or dinner specials to draw customers' attention at the table.